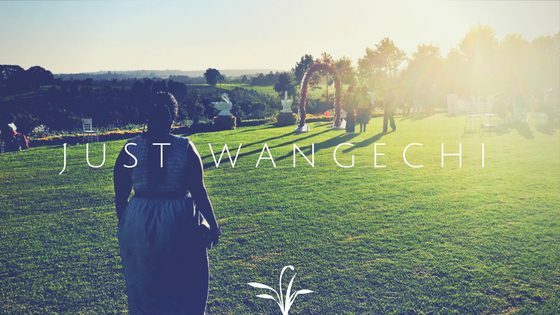 My name is Wangechi. I doubt you have met me..I wouldn’t even know how to describe myself. I wish I could meet you sometime and form that father-daughter bond that most of my friends have with their own fathers but I know that you are very busy building your empire for that to happen. we talk about life and its challenges and pleasures, we talk about school and the joys and tears of med school. I can confide to you about boys and relationships. I know I can talk to you about anything and everything. I can see you being kind; always there to help your children and your family when they need you. teaching us respect and love for your family and neighbors. Your rooted in the word of God and always show a gentle spirit to your wife and your kids. You are funny, you make me laugh till i cry with your view of life and your personal experiences. With your stories of growing up in shags just crack me up and I borrow a leaf from you. You are compassionate and loving. fun to be around but you are also strict, ready to punish me when I am wrong but always with a loving hand that makes me know that my life experience will shape my outcome with life. You have this way of making me feel better with your smile and i know that despite what I am going through, I can always run to you and you will be there for me. Coming out of my daze I realize that wishful thinking is a form of therapy but I know deep down in my heart that i will come to meet you some day and one day, whenever that day may come that we will form a bond that will last through the years.